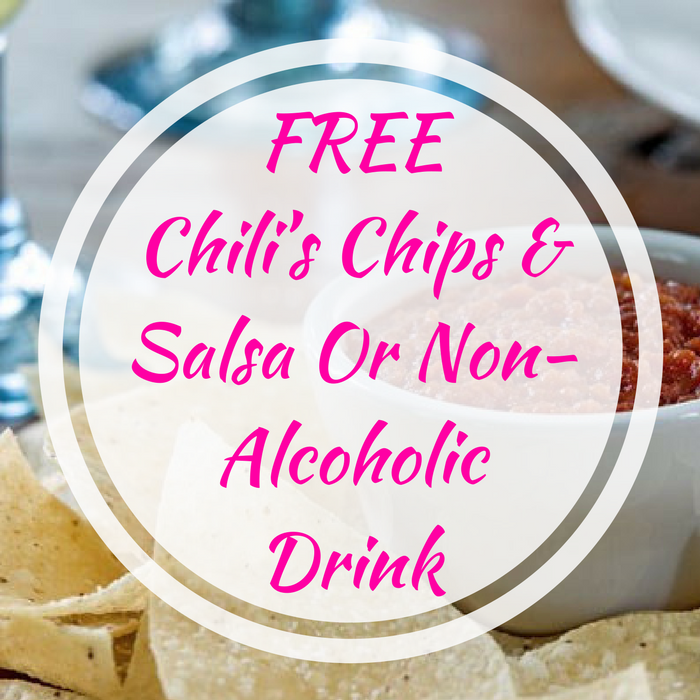 FREE Chili’s Chips & Salsa Or Non-Alcoholic Drink! You are here: Home / FREEbies / FREE Chili’s Chips & Salsa Or Non-Alcoholic Drink! You’re going to love this FREEbie! For a limited time, you can score FREE Chili’s Chips & Salsa Or Non-Alcoholic Drink on EVERY visit when you join My Chili’s Rewards! Once you have signed up, you only need to log in to your My Chili’s Rewards account and use the Ziosk at your table to redeem the offer at checkout. What a nice treat! Don’t miss it!